Inspiring Girls Expeditions interweaves science, art, and wilderness travel to inspire future leadership, curiosity, confidence, and success. 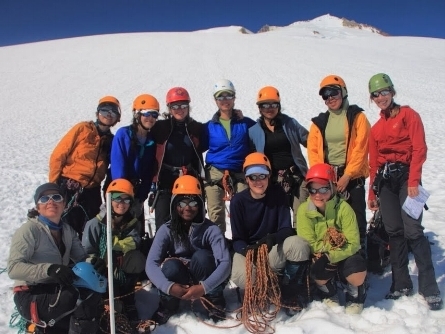 Each year we select expedition teams of 8-9 teenage girls and 3 instructors to spend 12 days exploring and learning about a remote wilderness environment. Through scientific field studies with our team of professional scientists, artists, and wilderness guides, you will build critical thinking skills, gain self-confidence, and make lasting friendships. Team selection notifications were sent via email on March 22, 2019. If you applied for a 2019 expedition and have not received an email from us, please check your email’s spam folder. Several email hosts filter emails from our application website as spam. Contact info@girlsonice.org if you have any questions! For North American expeditions, you must be 16 or 17 years old on June 1, 2019 to apply. For Girls on Ice Switzerland expeditions, you must be between 15 and 17 years old on June 1, 2019 to apply. You and your team will spend 12 days exploring Mount Baker, an active volcano, located in Washington state. By kayak and foot, you and your team will explore Bear Glacier and its surrounding marine environment near Seward, Alaska. You and your team will spend 12 days in the Alaska Range, exploring Gulkana Glacier and the surrounding alpine landscape. Preferences girls from AK, WA, OR, CA, BC, and YT. You and your team will explore the beautiful Asulkan Valley near Revelstoke, British Columbia. 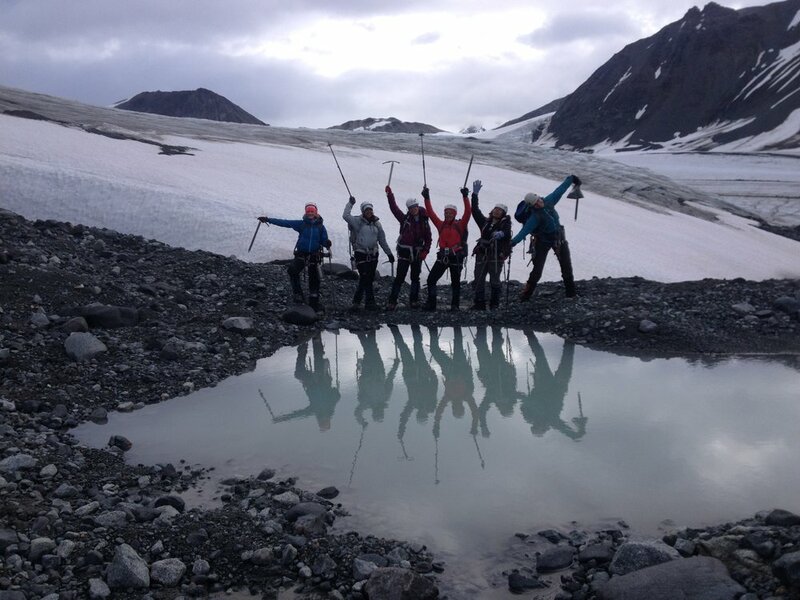 You and your team will explore the Findelen Glacier in the Swiss Alps. Preferences girls living in or near Switzerland and those who speak German or French. You and your team will explore the White River National Forest in the Rocky Mountains of Colorado. Preferences girls from CO, NM, AZ, UT, WY, MT, & ID. You and your team will explore the marine environment in Kachemak Bay, near Homer, AK. Preferences girls living in Alaska. We have new expeditions planned, but they need funding! Please consider donating or contacting us if you know of funding opportunities that may fit our needs!